In summer 2016, the Whitebark Pine Ecosystem Foundation (WPEF) in partnership with American Forests approached the U.S. Forest Service with a bold idea: We proposed developing a collaborative inter-agency strategic rangewide restoration plan for whitebark pine. Although Keane et al. (2012) had previously published a general rangewide restoration plan which emphasized methods (RMRS-GTR- 279), we would take the concept to the next logical level—the development of a geographic plan that focused on prioritized areas (“core areas”) for restoration. The draft concept for the restoration plan was well-received, and the final agreement to pursue the plan was forged in spring 2017. We are grateful to the Washington Office of the Forest Service for their support of our shared vision, and particularly to Deputy Chief Leslie Weldon. Our key collaborators in this effort are David Gwaze, Forest Service National Silviculturist; Bob Keane, U.S. Forest Service Rocky Mountain Research Station; and, Eric Sprague, Director of Conservation for American Forests. Whitebark pine in the Beaverhead Mountains, MT. Barry Bollenbacher. Whitebark pine has the largest distribution of any five-needle white pine in North America, but whitebark pine health is deteriorating rapidly across its range, particularly in the Rocky Mountains, Pacific Northwest, and northern Sierra Nevada. The widespread decline in whitebark pine from an unprecedented combination of threats requires timely management intervention. In 2011, the U.S. Fish and Wildlife Service designated whitebark pine as a candidate species under the U.S Endangered Species Act (ESA). The agency determined that listing was “warranted but precluded” but will reevaluate whitebark pine as early 2019. 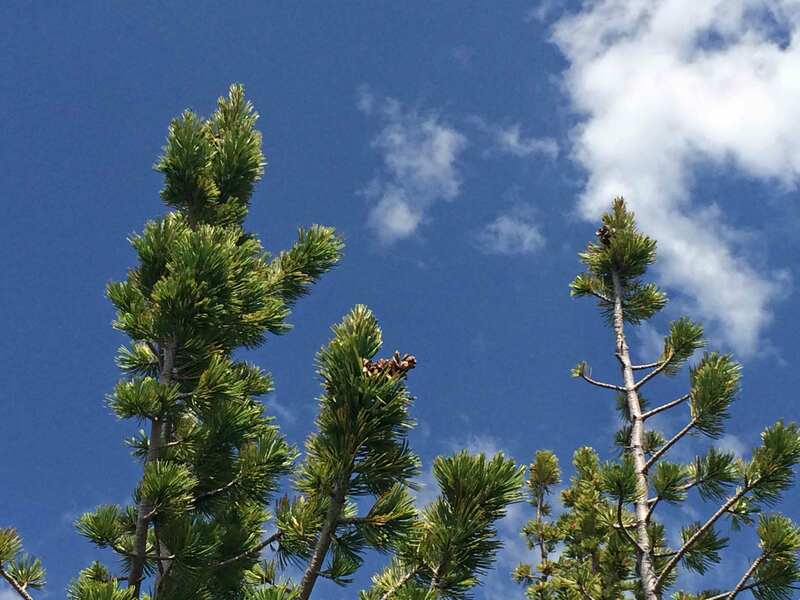 Whitebark pine was listed in 2012 as “endangered” under Canada’s Species at Risk Act. If listed in the U.S., whitebark pine would be the most-widely distributed forest tree under ESA protection, with over 75% of the U.S. distribution on U.S. Forest Service lands. Restoration of whitebark pine poses logistical and fiscal challenges, given the magnitude of its distribution and budgetary constraints. These constraints argue for a strategic approach to restoration, emphasizing designated “core” areas, which will have the highest priority for restoration activities. These core areas should serve as ‘dispersal centers’ for whitebark pine to adjacent regions. Nominated core areas for each administrative unit, based on a subset of criteria and given priority designations (e.g., 1 through 3). All nominated core areas combined will represent a target proportion (e.g., 20% to 30%) of whitebark pine’s distribution in any administrative unit. Map of core restoration areas designated by priority. Narrative by agency and geographic unit within the agency. Specific restoration protocols assigned to nominated core areas. Estimated implementation costs for these restoration protocols. Monitoring and adaptive management substrategy.